By Jayadev Vijayan (Max-Planck-Institut für Quantenoptik, Hans-Kopfermann-Str. 1, 85748 Garching, Germany). Imagine I give you six balls, three red and three blue, and ask you to arrange them in a line. The only rule is that whenever two balls of the same colour are next to each other, there is a cost in energy of one unit. The goal is to minimize the energy of the line. You might start with all the red balls to the left and the blue balls to the right and calculate that the cost in energy is then 4 units. 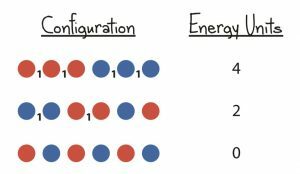 It would not take you long to realize that the configuration with minimum energy – exactly 0 units – is when the red and the blue balls appear alternatingly. Now that you have solved the problem, you can start to wonder why this was an interesting problem in the first place. You may be aware of materials like gold and copper – so-called metals. Or you might know of materials such as diamond – so-called insulators. If you were to zoom into either metals or insulators you would observe that they are essentially atoms arranged periodically in a structure called a lattice. However, metals behave very differently from insulators. To see where the difference arises from, you would have to zoom in further to see how the electrons of each atom move. In a metal, these electrons or “charges” move more freely throughout the lattice making them good candidates for wires to carry electricity, whereas in an insulator the electrons stay put next to their respective atoms and tend to not move. What you might not be aware of is the existence of another class of very curious materials that behave sometimes as an insulator and at other times as a metal, depending on its temperature. When cooled to low enough temperatures (around -150 C), they start behaving as “supermetals” in which charges move with absolutely no resistance, which although utterly confusing, make them the ideal material to send electricity through. Such materials are called high-temperature superconductors. For example, for electricity to arrive at your home from a power plant, a lot of money is spent to overcome losses due to the resistance of the wire, which although tiny compared to insulators, are significant. With superconductors doing the job, it would be possible to transport electricity with no loss whatsoever. To understand the origins of the weird behaviour of superconductors, we must once again zoom in and look closer. Like metals and insulators, a superconductor is also made of atoms arranged in a lattice. Around 80% of the atoms have exactly one electron that is free to move and 20% have none. Of the 80% with electrons, the electrons can be of two kinds – an up spin electron or a down spin electron. For the remaining 20% with no electrons, we say that they have “holes” to indicate the lack of an electron. The reason for the weird behaviour of a superconductor has everything to do with how the electrons talk to each other and arrange themselves to reach a configuration that minimizes energy. 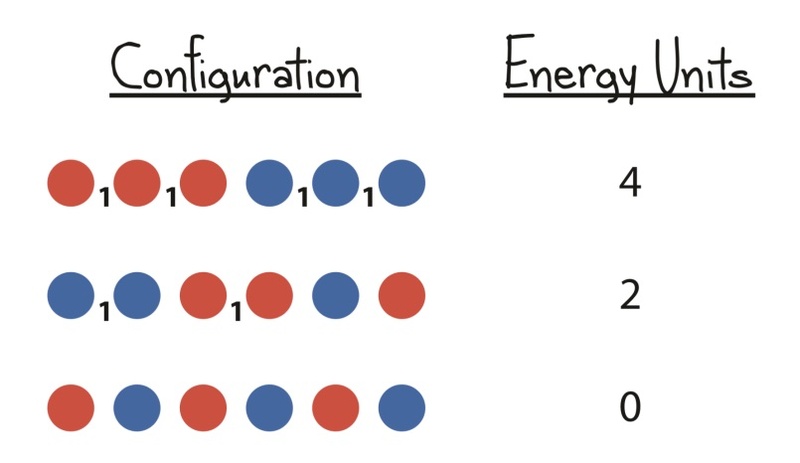 The rule dictated by nature at low temperatures is exactly the same as in the problem we solved at the beginning – if two electrons with the same spin are next to each other, there is a cost in energy of one unit. The goal, once again, is to minimize the total energy of the configuration. Let us start in 1 dimension with 12 electrons of which 6 have an up spin and 6 have a down spin. What is the minimum energy configuration of such a 1D chain? We have already solved precisely this problem with red and blue balls and found that this configuration occurs when we have alternating colours of balls. But is this really how nature works? To find out, we perform an actual experiment where we prepare a 1D chain of atoms mimicking the electrons. We then cool the chain down to a low temperature and use a microscope to see how they arrange. We prepare the experiment in such a way that an up spin is sent upwards and a down spin is sent downwards. In the real experimental image below, we can see a chain of spins where a red blob indicates an up spin and a blue blob a down spin. On running this experiment several times, we observe that the two different spins do indeed appear alternatingly, as predicted. In reality, such a material is called an antiferromagnet. Now let’s make the question a little more interesting – what if we add a hole to the 1D chain? Now there are two possibilities – either the two spins around the hole are the same, or they are the opposite. What is the minimum energy configuration? A helpful hint comes from the fact that electrons (and consequently holes) prefer to move around if possible. In the chain on the right in the image above, if the hole moved in either direction, it would cost a unit of energy because then two up spins would be next to each other. But in the chain on the left, if the hole moves, there would still be as many opposite spins next to each other and so no additional energy cost. Nature would thus prefer the configuration on the left. We observe in our experiments too that in an overwhelmingly large number of tries, the atoms across the holes have opposite spins making it possible for the hole (and consequently, charge) to move freely. Why was adding a hole to an antiferromagnet an interesting exercise? That’s because in reality, a superconductor can be obtained by adding holes to a 2D antiferromagnet. So as a final task, let us consider a 2D antiferromagnet with a hole and ask the question: do the charges still move freely? The lattice on the left has lower energy than any other configuration of spins around the hole. It already seems to be a good candidate for the minimum energy configuration. But what would happen if the hole were to move? Suppose it swaps position with the down spin to its right, there would be a cost in energy of three units. If it were to move one step further, say downwards, the cost of energy would increase to five. In general, the further the hole moves, the more energy it would cost. Since configurations with higher energy are unfavourable, we would expect that in this case, the motion of the hole would be severely restricted. Severely restricted motion of charges makes for a terrible superconductor, which is what a 2D antiferromagnet with a single hole is. However, if we were to add more holes and create an antiferromagnet with 20% of the atoms having no electrons, the holes start moving freely again. Why? It is not really clear. As one starts increasing the number of spins and holes, the problem becomes incredibly complex. And somewhere in this complexity lies the answer to how the curious properties of the superconductor emerge. Perhaps different holes start pairing up to be able to move through the lattice without any energy cost. Many laboratories around the world are now trying to prepare even colder 2D lattices from scratch with varying number of atoms and using microscopes to look at exactly how the spins arrange themselves and how the holes move in an attempt to make sense of the complexity. We may only be scratching the surface now, but every time we perform an experiment, we are closing in. A superconductor is a conductor with insulating properties, however at a low enough temperature, they are a superb conductor that allows charges to move without generating any resistance. This makes them extremely beneficial in power plants/electrical wires, as it would minimise the amount of energy wasted from resistance. Scientists carried out an experiment that observed the movements of atoms and electrons on a 1d grid. Following that was another experiment however an atom, nicknamed the “hole” was placed in the chain. The experiment resulted in the different spinning atoms alternating. This is called an “antiferromagnet”. When a “hole” was placed into the chain, the atom’s, which have opposite spins, allow it to roam around freely. The moral of the story: quantum physics are confusing and scary. Has your understanding of the topic improved by reading this paper? How? Yes. I used to consider ‘quantum physics’ a buzz-word they threw around in sci-fi novels. Turns out, it’s a real law of science that’s painfully confusing. Serious answer - Yes. We have learnt about what a super conductor is, and how it can be beneficial for our power plants and electricity system. Having given a fair number of presentations and lab tours, I was confident that it would be a breeze to explain my research to school students. One look at my first draft was all it took for me to realize how wrong I was! It is just so easy to get used to speaking in a certain way and using very context-specific words when talking to peers and to lose the big picture when narrowing down the focus of your research. I am very grateful to the unabashed referees for breaking this bubble for me and for teaching me how to write for 99.999% of the population. I can only hope that their learning curve during this wonderful activity was as steep as mine. 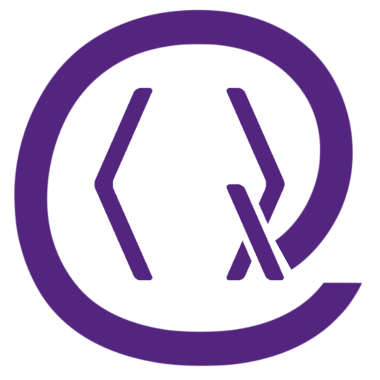 Jayadev Vijayan is a PhD student at the Max-Planck-Institut für Quantenoptik. On Crossref's cited-by service no data on citing works was found (last attempt 2019-04-25 21:52:16). On SAO/NASA ADS no data on citing works was found (last attempt 2019-04-25 21:52:18).